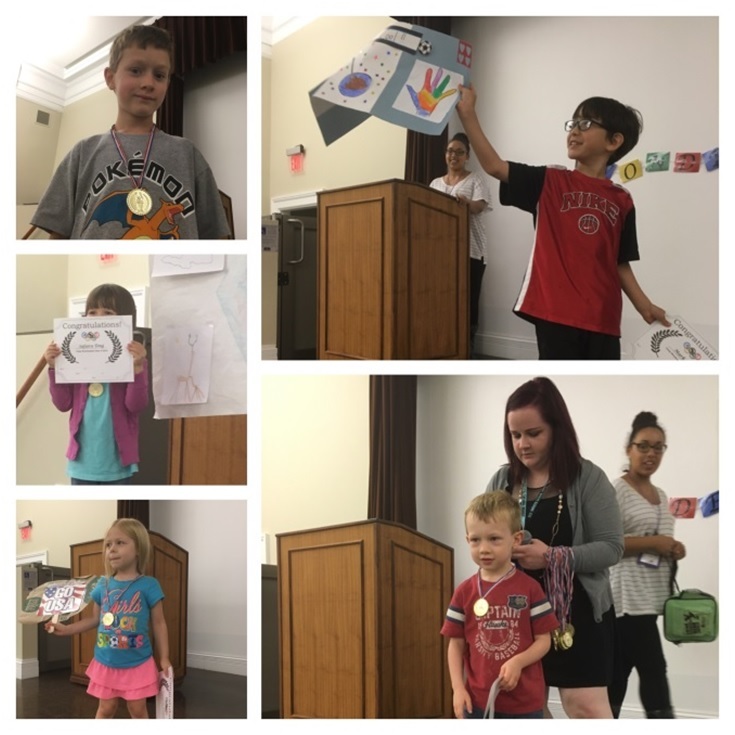 Recently, we held our last week of Camp Wonderopolis. We had saved Wonder Dash for last, because it would need weekly homework in order to be completed. Each week we sent Campers home with an activity, building up to them making a flag for week six. By the end, they had created a country, shape, name, national food, motto, and national animal. It was amazing to see the creativity throughout the process. One of our little girls created a name for her country in Greek that, translated to English, means James Moon. The first thing we did at our last session was eat dinner together with the families and Counselors. One of the quietest kids brought her father, instead of just her mother, and she was so animated while telling her father about the Camp. It was nice to be able to see the children so excited about learning. After we ate, we washed our hands and everyone met upstairs in the auditorium. 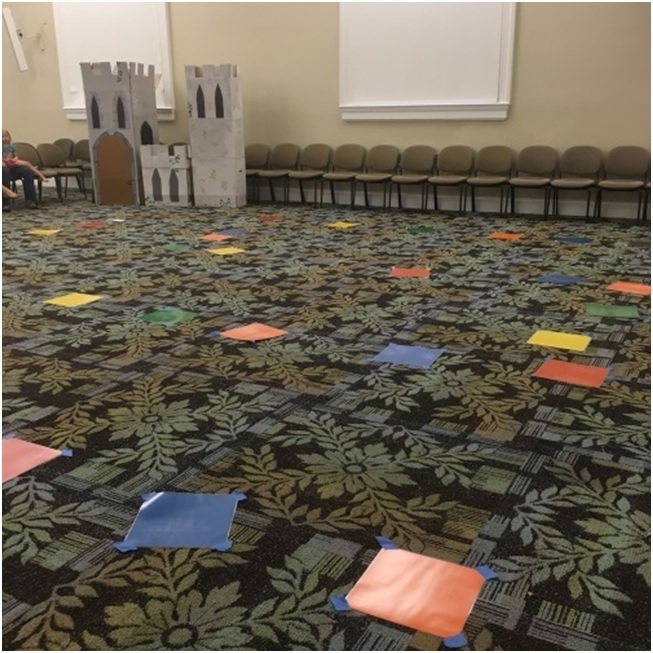 The Counselors had set up a life-sized board game in order to review all Camp Wonderopolis lessons with the kids. We called it the Wonder Olympics and each of the kids played for their country. First, we played the official opening music and a teen volunteer ran in with the torch, ending on the stage and placing it in a stand. To begin, we let the youngest go first. He rolled the giant die and then got to pick a review card. The joy on his face was awesome when he got it right, and got to move along the colored spaces. The kids all did pretty well in the game and their parents looked proud. At the end, everyone sat back down and we called each child up to hand them their diploma and treat bag. They each got a chance to be in the spotlight as Naomi, a Counselor, placed a medal around each Camper's neck. Overall, it was an amazing experience.